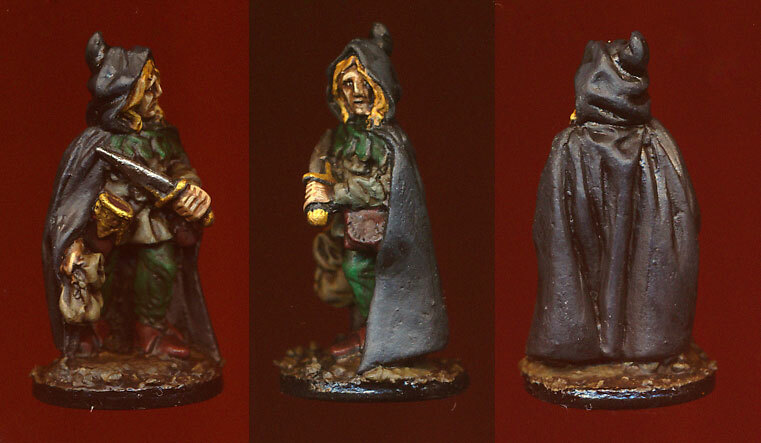 I found this figure when I was fossicking about in amongst my vast dunes of unpainted stuff recently. I don't know who the sculptor was, or which company produced it, but I think it was Grenadier, some time in the early- to mid-eighties. The standard of sculpting isn't particularly high, even by the standards of the time, but it's not terrible either, and I quite like it. I have a preference for gaming figures that are depicted in the "moment of repose" between actions; I tend to dislike figures sculpted in action poses, especially some of the extremely exaggerated poses that seem to be in vogue with some sculptors. The paint-job was a real quickie, as you can see, but it will suffice for my purposes. This evening our Traveller campaign episode revolved around yet another mis-jump, keeping a ship-load of refugees from going stir-crazy with a series of inspirational and educational lectures on a variety of subjects, and eventually negotiating a good price with a TL4 night-soil collector for the ship's sewage. Very little shooting, and minimal innocent collateral damage from what shooting there was. I've just finished making a bit of gaming terrain, in the form of rocky outcrops for a desert environment. 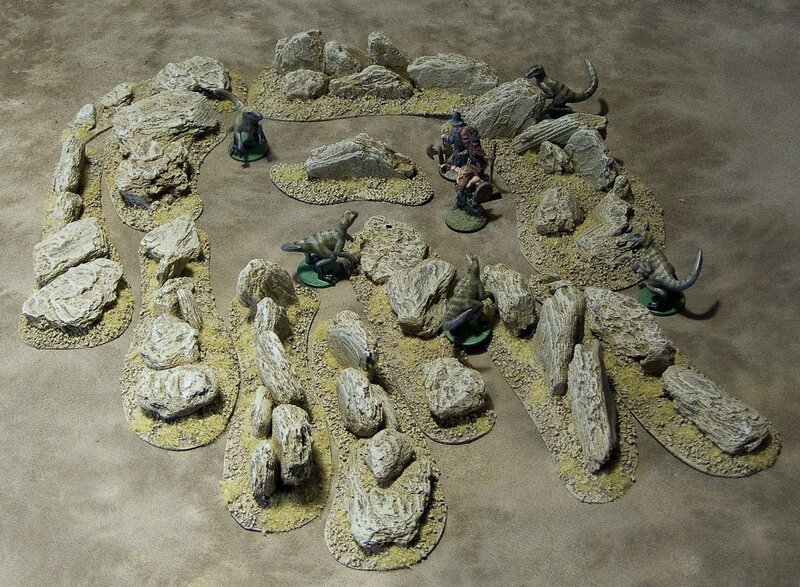 The "rocks" themselves are bits of pine bark looted from a local playground, glued to shaped 3mm MDF bases, painted, and the ground textured with model railway ballast and grass flock. The bark does an excellent job of mimicking sedimentary rock like sandstone, and it's as cheap as it could possibly be (i.e. free). It's very absorbent, so it pays to seal it before painting — I used the cheapest white spray primer I could find, which worked just fine. The dinosaurs in these photos are cheap — very cheap — plastic toys from a local Dollar Store; eight velociraptors for a buck. They're cast in pretty lurid colours, but with a coat of paint they came up pretty well. The party could be in a bit of trouble here. There are three more velociraptors out there... somewhere. ...my Kickstarter cherry, that is. Reaper Miniatures have a kickstarter running at the moment to get a whole lot of their metal range into plastic production under their Bones range. I've kicked in enough to qualify for the "Vampire" level, which means that at the moment I'm in for about 150 figures for substantially less than a buck apiece, with the option to pledge more for some bigger figures like dragons, giants, Great Cthulhu, and so forth. Not that I actually need any more unpainted figures, you understand. I just couldn't resist. As of writing, the Kickstarter still has 6 days left to run. If you are, like me, a pathetic grovelling gaming mini junkie, I highly recommend you jump on the bandwagon immediately — the more the merrier! I'm a sucker for miniatures. I buy all sorts that I know that I will probably never actually use in a game. I'm also kind of a cheapskate — admittedly, a cheapskate with poor impulse-buying control, but nevertheless. 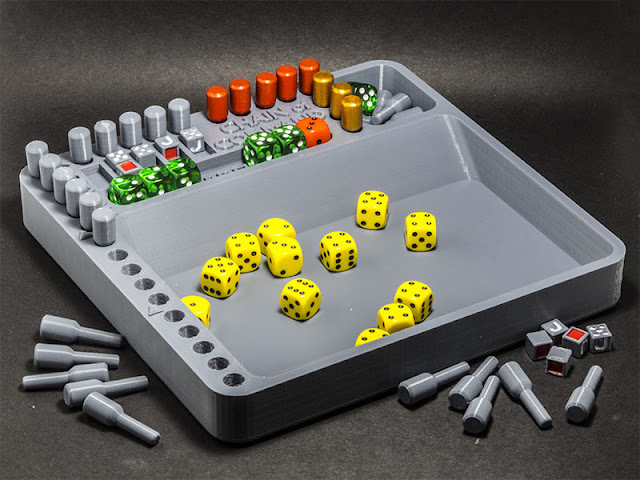 I suppose it's because when I first started buying gaming figurines, they tended to cost less than a buck apiece, and figures designed especially for wargaming were often as low as 20 cents. That makes modern metal figures seem very, very expensive to me, and when it comes to companies like Games Workshop, ludicrously expensive. 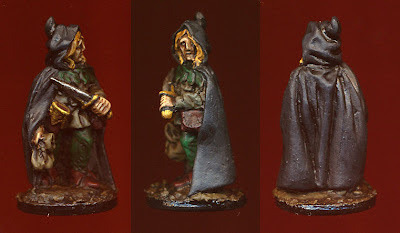 Reaper Miniatures have a very extensive range, mostly of pretty good quality, and for a 21st century company, their prices are fairly reasonable. You're still looking at six to ten yankee dollars for a 25-28mm metal figure though, which is a lot when you want to buy a whole horde of orcs or something. They've recently started producing much cheaper plastic versions of some of their range. The plastic figure range is called Bones, and I decided to try them out. I bought 3 of the Great Worm (77006), Rats (77016 — you get 6 in a pack), and 5 packs of Kobolds (77010 — also 6 to a pack). The figures are made of a white polymer of some kind, which is bloody hard to photograph effectively. 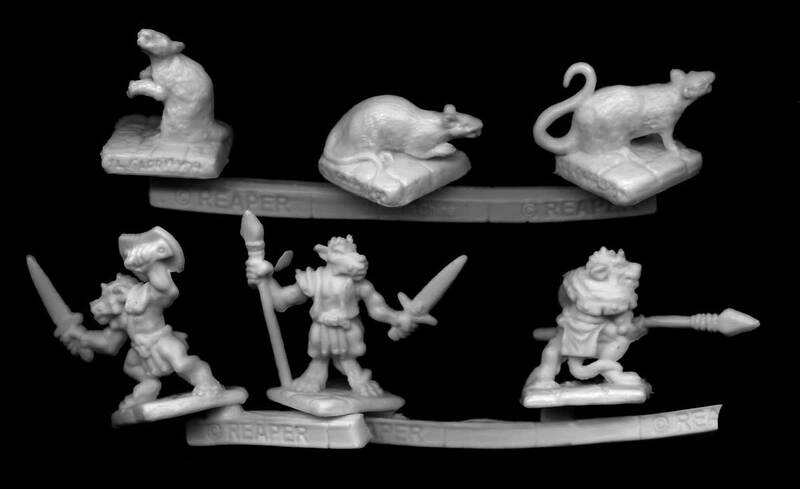 The Rats and Kobolds, shown here, I eventually laid on the platen of my scanner to get an image that didn't blow out the highlights. The detail appears a bit softer than I'd expect from metal figures, but to what extent that's due to the modelling, and how much to the nature of the medium I don't know. 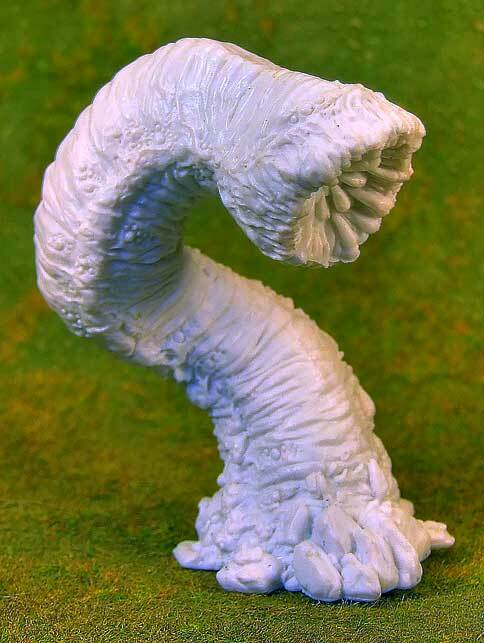 The detail on the Great Worm (below) looks a lot sharper, but then it's also a much larger figure. The kobolds, by B. Siens, have been mastered in quite flat poses, which tends to be a feature of injection-moulded plastic figures due to the issues the process has with undercuts — attaining a well-rounded, dynamic figure often requires some pretty tricky multi-part mould-making, and that (of course) increases the production cost. The Rats are by Sandra Garrity, and are pretty good; the proportions and the three poses provided are suitably ratty. 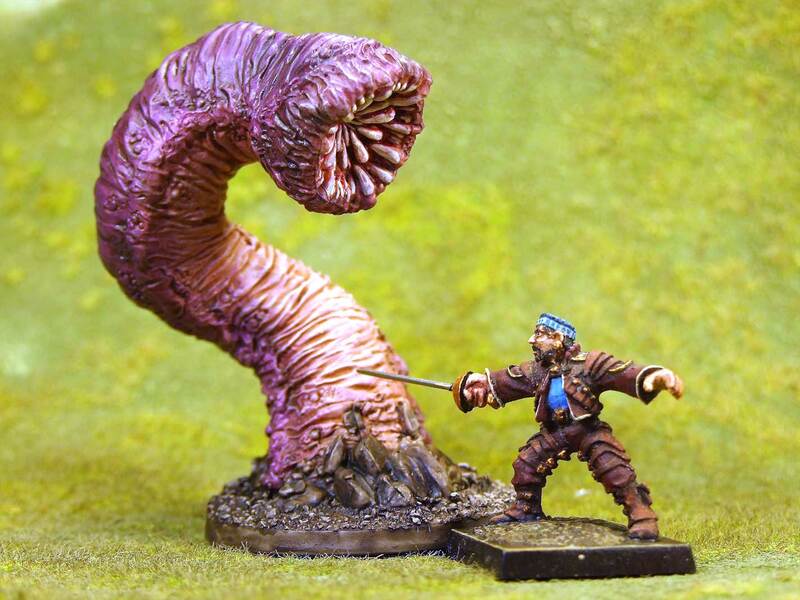 The Great Worm is decently monstrous, and it's with really large figures like this that you stand to save a LOT of money. It costs $US2.99 in plastic, and I doubt that you'd get much change from three or four times that amount if it were made in metal — plus it would weigh a ton, and that means paying extra freight as well. Of the Bones figures I have thus far, I've only painted the Great Worm, shown here with an old WotC metal figure (circa 2001, I think) for scale. The Worm does stand on its own moulded base, but it's slightly out of balance, and I glued it to a honking great steel washer for the sake of stability. Reaper say that you can slap paint straight on Bones figures without undercoating, and I certainly didn't have any trouble with the Vallejo acrylics that are my preferred paints these days. I'm pretty happy with what I've seen of the Bones range so far. I don't think metal figures are going to disappear overnight, but I do think they're going to be reduced to more of a niche market within the next few years, if only because of their expense. A cheaper alternative like these allows me to buy more figures, which means I can throw larger hordes of mooks at my players, and that can't be a bad thing.